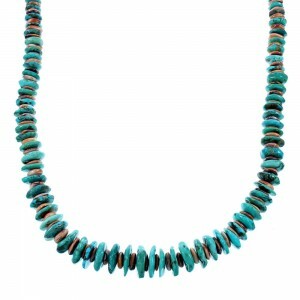 Beads have been a staple of Native American jewelry for generations. Before the Southwestern tribes were introduced to the art of working silver, beads were the primary material used in jewelry making. 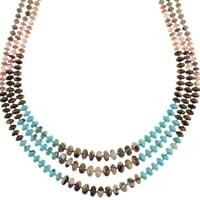 Today, beads remain popular among tribes and our selection of bead necklaces highlights the beauty and craftsmanship of the American Indian tribes who make our jewelry. 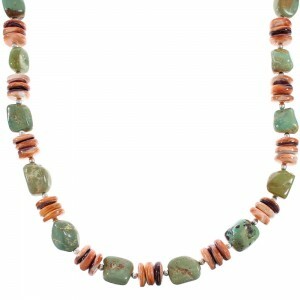 The beads used are made from several materials commonly found in Southwestern jewelry, including turquoise, coral and onyx, to name just a few. 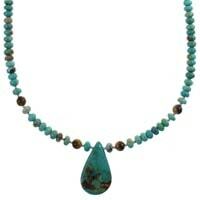 Of course, our turquoise beaded necklaces are among the most popular items we carry. 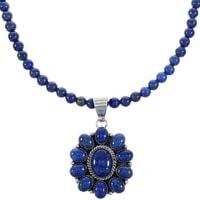 The dazzling stone has been a crucial part of jewelry in the region for hundreds of years. 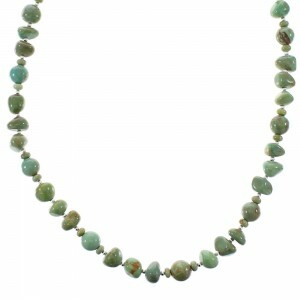 The stone is believed to protect the wearer, and was a common gift as a symbol of friendship. 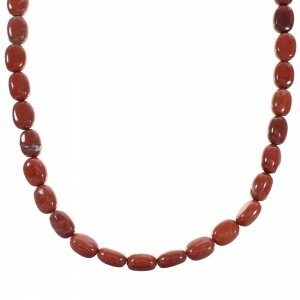 Many cultures believe giving beads as a gift will transfer the protective properties. 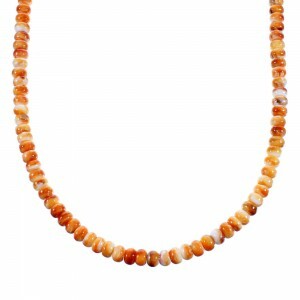 We also carry bead necklaces that feature coral beads. The most popular examples highlight the vibrant red color of the coral. 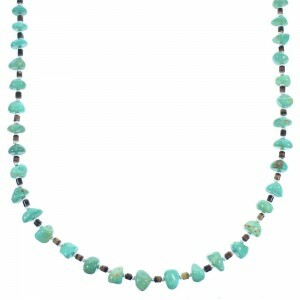 Many of the techniques first used to make beautiful Native American bead necklaces are still employed today. The materials used have always been important to tribes such as the Pueblo, Navajo, Hopi and Zuni, who believe different types of beads, hold significant spiritual and healing powers. 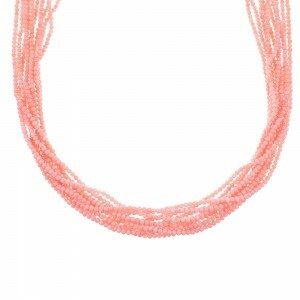 Some beaded necklaces are believed to bring the wearer good fortune while others help overcome fear or illness. Status also played an important role in the giving of beads. Some historians believe Southwestern tribes would display higher rankings within the society by using beads. 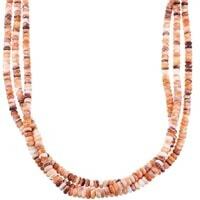 Someone wearing multiple beaded necklaces with several types of beads likely held an important position in the tribe. 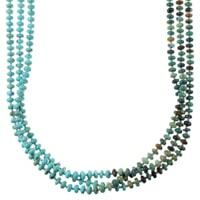 Beaded necklaces were also used for ceremonial purposes and someone who went through a major rite of passage or passed a certain age was often presented with a bead necklace to mark the occasion. 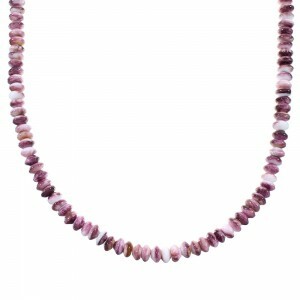 Beads were also presented during important healing ceremonies, due to the belief that certain beads held supernatural powers that could drive sickness from the body. 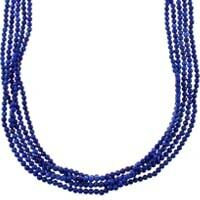 But it's not only the cultural significance that attracts so many people to our bead necklaces. 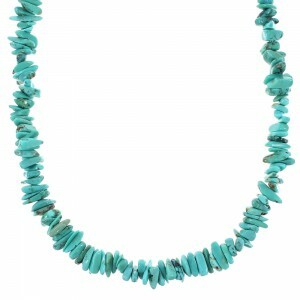 SilverTribe offers the most sought after styles on the market today. 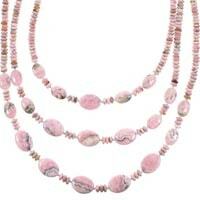 We always have the best selection of bead necklace patterns featuring various materials. 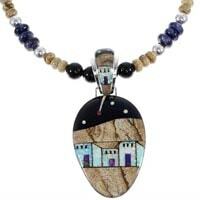 We have beaded necklaces for men featuring beads that are hand-strung onto a beautiful sterling silver chain. 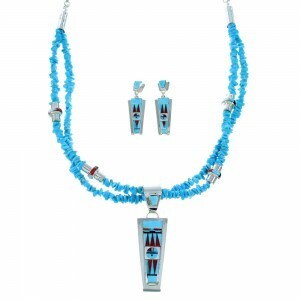 Our collection is diverse enough to represent styles made famous by all major Southwestern tribes. Our artists stay on top of the latest fashion trends while maintaining the timeless qualities that have made Native American beaded necklaces popular for generations. 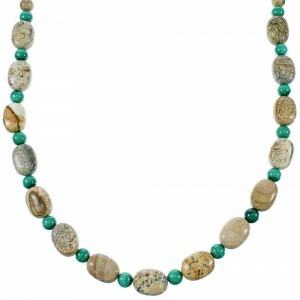 We have oyster shell beaded necklace patterns with a strong and fashionable sterling silver clasp as well as multicolor beaded necklaces that highlight several traditional beads, including turquoise of every shade and style. Our variety ensures we can provide any style for any budget. 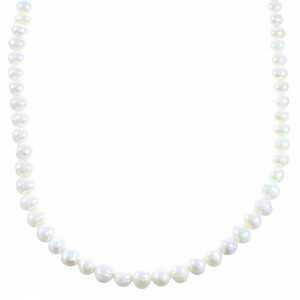 Whether you are looking for a simple and elegant bead necklace for everyday fashion or an elaborate and intricately designed beaded necklace for formal occasions, we have an item to suit your fashion goals. 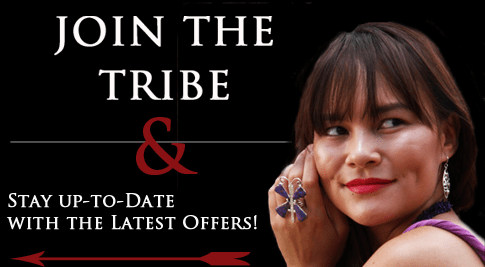 Spend some time exploring our huge selection of beaded necklaces or some of our other fine Native American necklaces in our inventory to find the product that suits your needs. SilverTribe strives to offer the lowest prices on the highest quality examples available today.